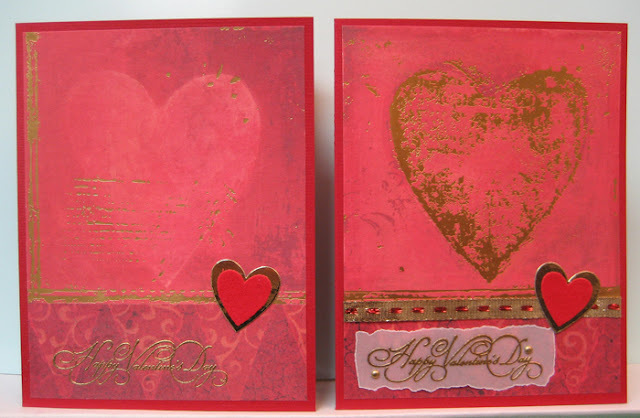 I am working on Valentine's Day cards and found these beautiful hearts in my decorative paper stash! I have been hoarding them for many years though I have used a few over the years. There originally were nine on the 12"x 12" sheet. I have used up the last of them and I am very happy with the beautiful cards they made!! The hearts were cut from the sheet to about 4"x 4". As luck would have it I found a coordinating piece of decorative red harlequin paper in my stash! I trimmed a couple strips of about 1.25" and added a piece to each heart. I used a variety of ribbons to cover the joint before gluing this layer to my card fronts. 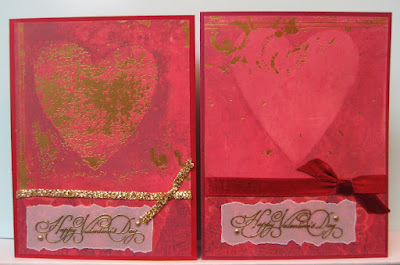 For the first one, I simply added a little gold die cut heart and I was done!! With no greeting it is a bit more versatile as it can be used as an anniversary card as well. The next two are very similar in that I added a gold embossed vellum greeting with torn edges. I attached them to my card fronts using two tiny gold brads. 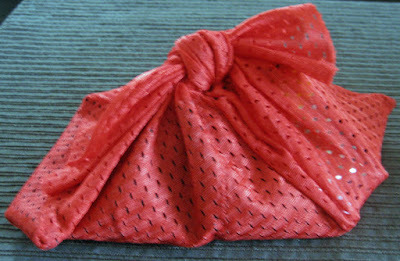 A short length of ribbon tied to the one on the card simulates a bow. 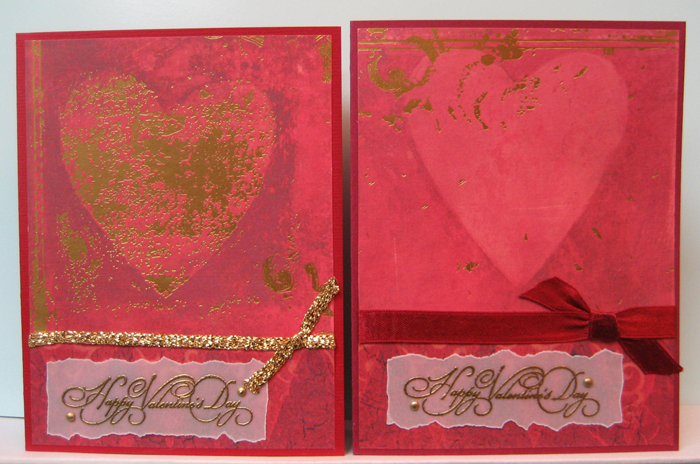 For the last two, I added a heart embellishment which was created by layering two heart die cuts - one from red velvet paper and the other from gold packaging. On the left hand card the joint was so seamless that I did not have to cover the joint with ribbon. 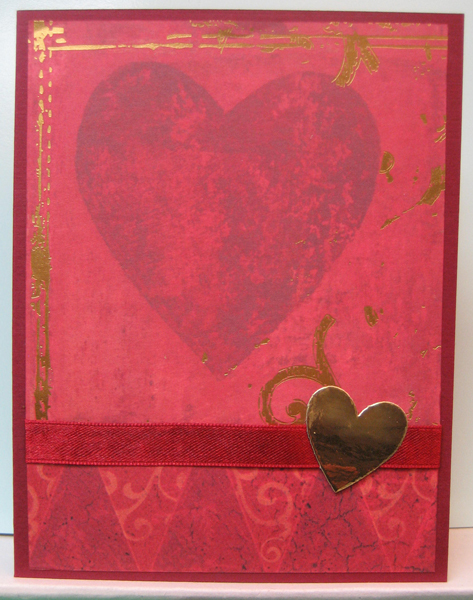 I simply embossed my greeting on the bottom strip and added my heart embellishment with double sided tape. 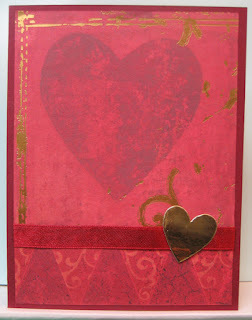 For the other I added an embossed vellum greeting along with the heart embellishment. I love how these turned out! !